Keith Clay Floors is obsessed with tile…all kinds of tile. Tile on backsplashes, walls, floors, and yes even ceilings. What? Yes if you check into designer magazines and TV shows, quite a variety of tile has blossomed in the tile and design industries at large. And in 2018, it has been confirmed that more color, shapes, patterns and fantastic murials are making statements across the nation. Since it is no secret that we love tile, our focus for a couple of months has been on types of tile, maintenance and cleaning, and yes even industry staples like subway tiles. An investment in it’s own right, it has been a great investment for residential, commercial, industrial, and institutional surfaces. Reflecting on the past year, and looking forward to the future, Keith Clay has identified some trends that will continue to delight as we move into peak remodel and designer renovations this season. Bold Patterns – While interior design firms and individuals always use bold patterns of distinction for things like pillows, rugs, and accessories; cement tile has taken over in the bold and wild pattern department. Page through any design magazine or visit your favorite home decor store and confirm for yourself what is going on. Squares Rectangles & Hexagons – From diamonds to crosses to these shapes of tiles may remind you of high school math, but are going to hold your attention to the smallest detail. From the least tried chevron to the statement flooring do take advantage of the surprise element that tile shapes are the best example of popularity. Terracotta Tile – Terracotta Tile is not new, but in today’s market it may be less shiney and orange. Glazed or natural, light or darker clays, jade greens laid in a bold herringbone; these interesting looks can enliven kitchens, bathrooms, and even utility rooms alike with no worries. Pay attention to where the designer markets head with these beautiful classics, just don’t forget about all the new colors. Brighter Colors – Hands down, bright colors are making a comeback across the board in homes and offices alike. A really welcome change for most staff and employees of contemporary firms; these bold and brights make it such a pleasure to come to work. 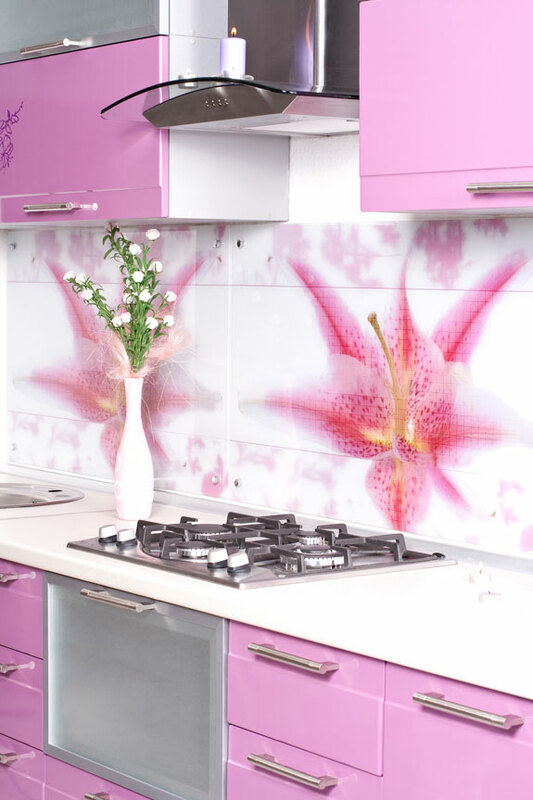 Take a play from a new designer you like and use liberally as a backsplash or accent wall if you dare. Dare to be different and take the plunge…the water is great. Interesting Textures – Who said tile has to be boring? In the playbook of designer colors take a look at the Designer Color of the year from Sherwin Williams and then tell us tastes have changes. Subtle texture in those bright and bold colors add a convincing stylish touch to any neutral toned room. Architects and commercial designers have gone crazy with texture. This is not your grandmother’s idea of design anymore. Tiny Tiles – Remember penny tiles? Mosiac tiles are making a big comeback but in a creative way. Tiny hex tiles, tiny square tiles, and mosiac glass tiles are becoming new again. Old meets new in 2018 and the creation is beyond believe. Regardless of size, tiny tiles are being paired with sleek monder elements and provide a charming throwback to cutting edge and quirky vintage styles all at once. Terrazzo – Terrazzo in it’s finest hour made a convincing statement on floors in a variety of markets. Residential and commercial settings alike were proud to have it in their midst. Today’s Terrazzo is creeping up the walls in bathrooms and kitchens as well. The freshest thing we have seen in years, this stone like speckled material gives a pleasant knod to what has come before. The bottom line to all design is if you like what you see. Since you have to live day in and day out with your decision, why not feed that inner designer and keep it easy to clean, capture your favorite style, which is durable, and attractive. These types of timeless options will never be forgotten. Much like wine, they support the old addage they are better with age. BTW remember our current special Take 10% Off your tile and grout cleaning with a $500 minimum service order. Keith Clay Floors – Floor Restoration, Refinishing & Installation Brings World Class Craftsmanship. Reasonable Prices. Dallas: 972-463-6604 Fort Worth: 817-663-5235 For over 30 years, we have provided excellent services to our clients in the North Texas Region. We hope to hear from you soon. Take the Leap you won’t be disappointed in our knowlege and experience.